An Inner Sphere counterpart to the Clan Epona, the Regulator focuses more on less but larger weapons. Many of the variants focus around ranged weapons and supporting roles. The two short range combat variants feature terrifying speed combined with firepower. While the tank itself can bring withering supporting fire to a fight, most of it's weapons require precision targeting, and doing so while keeping the vehicle agile and upright is difficult. With the smallest turret of any of the hovercraft, the Regulator is nearly impossible to recover from being flipped over on its own. This variant mounts a Gauss as it's main gun. Backed up with a pair of MGs great for whittling down armor. Able to deliver large pinpoint damage at any range, the Prime is capable of darting in and out of combat, or retreating quickly out of range while returning fire. Wary pilots will mind the reload time, as a missed shot in close range combat can be devastating. Two spare tons of reload space and EOptics give it plenty of combat longevity. The most aggressive of the two short range variants equipped with it's focus on keeping it's target suppressed with a RAC5. Three SSRM2 provide additional cockpit shake. The asset's low profile help this variant get into combat without the enemy getting wind of it. Careful pilots will use cover to let the main weapon cool down, as the three SSRM2 will not provide enough supressing fire on their own. Two spare tons for it's ammo bin can keep this variant in combat for a while, but pilots will find themselves returning to base for reloads quite often. This variant is the only one that have extra 1 ton of armor. A short range combat asset, the B relies on an LBX20 as it's main weapon for blasting armor off at alarming rates coupled with two MGs for additional support. The addition of LAMS helps to fend-off missile barrage. Utilize this units speed and agility to dart in, dump you payload, move out to reload, then do it again over and over until you have pounded them into submission. Being ballistic based be mindful of your supply as you only get 1 Free tons on ammo for a total of 24 shots. Extra 0.5t of armor should help surviving engagments. This variant brings a massive short range barrage to bear with an MRM40. Due to the nature of the launcher, it excels in hit and run combat, unloading it's missile load on unwary targets then retreating to cover to reload. Two SPL provide some additional power at very low heat loads. If it must retreat, the MRM40 can still deliver heavy damage with steady aim out to 600 meters. Precise fire with this variant is critical, as even with two spare tons of ammo, the MRM40 only has 18 missile barrages before it must return for reload. EOptics aid in planning an attack pattern and point defence system helps dealing with enemy BA. The Regulator D is best used with a teammate TAGing or NARCing. On it's own, the TBolt class 20 brings Gauss rifle damage to bear with some splash. However, with a teammate directing missiles in, this variant can do so around corners or even over cover. Thunderbolt missiles have an absurd range against painted targets, however communication and teamwork is essential. With a maximum of twelve missiles onboard, pilots are advised to use them when they're sure of a target. Two ERSBL provide some defense against Battle Armor, and EOptics plus a TAG laser can paint targets for it's own missiles or for teammates. The E is a designated support asset. Able to provide area denial out to one kilometer with both an LRM20 and ERPPC, the E lacks accurate damage to smaller components. Beware warmer climates and shorter ranges, as the ERPPC and LRM20 both generate a lot of heat, and are of limited utility at shorter ranges. While it does have an extra ton of LRM20 ammo, it does not have any additional heat dissipation. The F brings precision firepower to the field with three ERLBL and EOptics for spotting prey. At home at medium to long range, the F is able to either surgically remove components and arms, or keep near constant pressure on enemies. With two heat sinks, and the ERLBL producing less heat then Clan tech, the F only ever has to return to base for repairs. 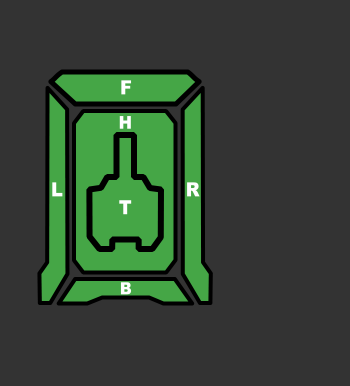 While not incapable of defending itself at short range, pilots are advised to use the asset's speed to escape short range encounters. Bringing an ArrowIV onto the field for the least amount of cash, the G is a long range support vehicle. Two tons of reloads allow it some longevity as it provides heavy splash damage and LAMS saturation on it's foes. However, the Arrow launcher is it's only weapons system, and the asset's speed it's only defense against anything that can close the distance. While it can work on it's own with EOptics blind firing, this variant is most dependent upon it's teamwork for both defense and efficient targeting with as TAG or NARC. 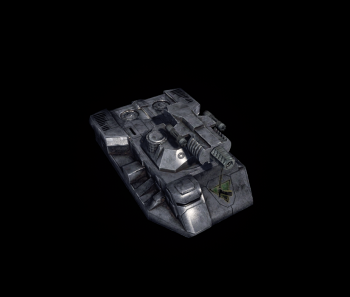 The Regulator hovertank was the result of the Capellan Confederation refining its surviving industries to produce better combat vehicles after the Fourth Succession War and the revival of Star League technology from the Helm Memory Core. The General Motors 170 fusion engine gives it considerable speed and agility, however, making up somewhat for the thin protection on the flanks. The Tank first saw action in 3057, during Operation Guerrero. Its involvement in actions on Tsingtao brought to light the tank's offensive abilities when a lance of the tanks destroyed three AFFC 'Mechs. This page was last edited on 16 March 2019, at 19:42.